Traditionally, the hen night is a single woman’s last night of freedom before she becomes a bride. Celebrating in style has become a favourite pre-wedding event. It is also a great excuse for one more crazy night with the girls. A hired limousine can be a great way to get around town. Our vehicles have receptacles for bottles of bubbly and can accommodate big groups. Stretch limousines by Kent Atlantic Limousines set the tone of any hen party. The flagship Kent Atlantic Limousine is the beautiful, red-roofed Lincoln. It is one of only two in the UK. It is a perfect choice for those who love to travel in style. The Excursion is perfect for a larger hen party, with built-in laser lights, champagne glasses and enough space for thirteen people. With your transportation sorted, your group can focus on the party. Why not start the celebration at home then use the limousine to hop between the best clubs in town? The convenience and the luxury of a limo is unbeatable. Limousines are also safer than the other transportation options for a hen party. All Kent Atlantic chauffeurs have undergone an enhanced Criminal Records Bureau (CRB) check and have your safety in mind. Our vehicles are well-maintained and comply with all regulations. If your group wants an alternative activity for a hen party, there are many options to choose from. Start the day with a refreshing yoga session then grab breakfast with the girls. Afterwards, you use the limousine to go to your chosen activities around town: spa, craft or cooking classes, shopping, etc. With a limousine, transport is an easy and exciting experience. While in one of our limos, why not open a bottle of fizz to refresh yourselves between activities? 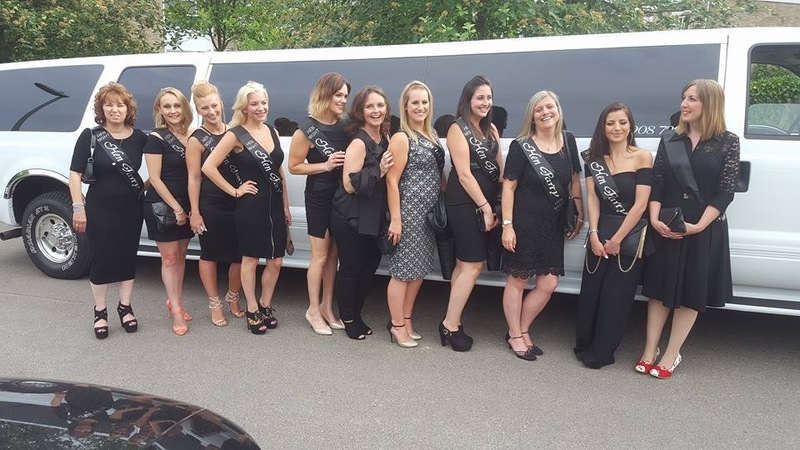 Call us now and book a chauffeured limo to ensure that your hen party is a memorable one.